Offering a specially crafted gear-shaped design, the Volkl Cyclone tennis string delivers stunning performance with massive spin enhancement without hindering control, durability, and decreasing ball speed on rebounds. It’s a truly sublime choice for players with dynamic play style and focusing on massive shots to bring down opponents. 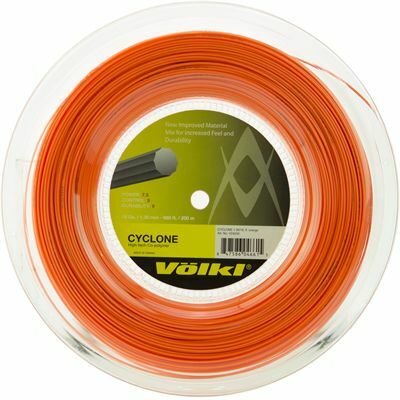 The string set is shipped in a hefty 200m (656ft) reel guaranteeing many successful restringing jobs. 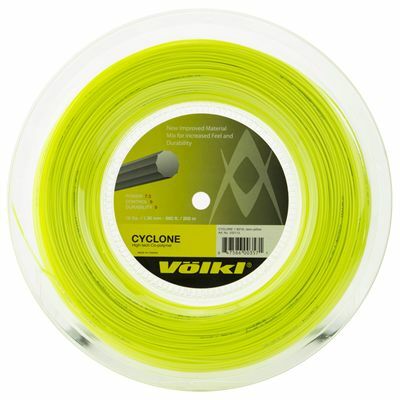 for submitting product information about Volkl Cyclone Tennis String - 200m Reel We aim to answer all questions within 2-3 days. for submitting product information about Volkl Cyclone Tennis String - 200m Reel. We aim to answer all questions within 2-3 days. If you provided your name and email address, we will email you as soon as the answer is published. for submitting product review about Volkl Cyclone Tennis String - 200m Reel.